Level One and Level Two one week intensives are an in-depth and hands-on way to train in narrative therapy. Dulwich Centre is an internationally renowned narrative therapy training institute, a counselling centre, and an organisation which is regularly engaged in community projects. Dulwich Centre has a long history of offering these one week intensive workshops. Michael White offered these events at Dulwich Centre since the mid-1980s. We now to continue this tradition with an international faculty. These trainings will be offered by Dulwich Centre Faculty members who work as both therapists and teachers and who trained and worked alongside Michael White over many years. Dulwich Centre has a training philosophy that ensures that those teaching narrative therapy are also maintaining a therapy practice themselves. We have found that this leads to rich and rigorous training conversations. 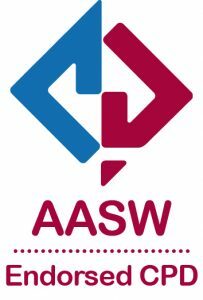 These Intenstives are recognised as Continuing Professional Development (CPD) activities by the Austr alian Association of Social Workers. Please read below for details about Level One and Level Two trainings. These one week intensive trainings will provide an immersion in the practices of narrative therapy. Narrative therapy centres people as the experts in their own lives and views problems as separate from people. Narrative approaches assume that people have many skills, competencies, beliefs, values, commitments and abilities that will assist them to reduce the influence of problems in their lives. The word ‘narrative’ refers to the emphasis that is placed upon the stories of people’s lives and the differences that can be made through particular tellings and re-tellings of these stories. Narrative therapy involves ways of understanding the stories of people’s lives, and ways of re-authoring these stories in collaboration between the therapist and the people whose lives are being discussed. It is a way of working that is interested in history, the broader context that is affecting people’s lives and the ethics or politics of this work. It is a hopeful approach. When using narrative approaches, it is often possible to address serious problems in playful and respectful ways. Stories of therapeutic conversations, videotapes, transcripts and therapeutic letters will be shared that relate to work with adults, children and families. Detailed descriptions and illustrations of maps for therapy will be given. What is more, during the week, many opportunities will be provided for participants to develop their own skills in narrative questioning through training exercises. We have found this to be particularly helpful in order for participants to then be able to use narrative practices in their own work context. This intensive workshop will be relevant to counsellors, therapists, psychologists, social workers, welfare workers… indeed anyone who is working with the stories of people’s lives. These intensives will be taught in English with an Australian accent! It’s necessary to have a very good grasp of spoken English as there’s lots of discussion in small groups, practical exercises, and interactive classroom discussion. Slowing down interviews to explore the effects of different practices and to expand our range of possibilities. Exercises designed to practice skills and engage more fully in the narrative worldview. Participants must have attended a Level One Intensive (or its equivalent) in order to enrol in this workshop. This intensive will be taught in English with an Australian accent! It’s necessary to have a very good grasp of spoken English as there’s lots of discussion in small groups, practical exercises, and interactive classroom discussion. Cancellation policy: Please note, in the event of a participant needing to cancel their registration, it is possible to exchange their place with another person, or to receive a one-off transfer of their place to a future Intensive within one year of the original Intensive at no cost. Transfers can be made up to one month prior to the Intensive (except in extenuating circumstances). If you need to cancel your place (and cannot exchange or transfer) there will be a $55 administrative fee. If you cancel your place less than one month prior to the course there will be administrative fee of $110. If you cancel your place in the week leading up to the course we will not be able to offer any refund.